If you are not in the mood for my idle chatter to follow, here is the bottom line: I love this book. Whether you buy into evolution or not, everyone should read “The Ancestor’s Tale” because it is a marvelous bit of writing which will challenge you to think and rethink the surprising realities and consequences of your own position. Even if you completely buy into evolution, this book dares you to accept its disturbing implications, as unnerving as they may be. And that is always a good thing. 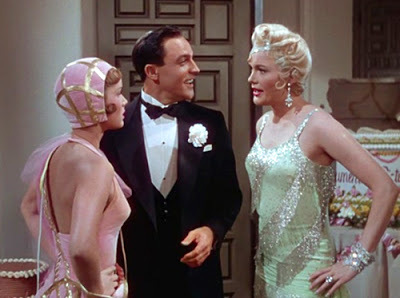 In the Gene Kelly movie “Singing in the Rain”, Don Lockwood (played by Gene Kelly) and Lina Lamont (played by Jean Hagen) are silent-era movie stars about to make their break into the “talkies” with a musical. The only catch is, Lina can’t sing and has an awful accent. So they invent the idea of “dubbing,” and have Kathy Selden (played by Debbie Reynolds) to do Lina’s parts while Lina is lip-syncing. So, in the movie, what you see is Kathy talking and singing in a beautiful deep voice behind the stage, while Lina is mouthing in front of the camera. Now here’s the lesser-known fact: in reality, Debbie Reynolds did not sing in any of those parts — she has a midwestern twang. So they needed to find somebody who could do the voice-overs for Debbie Reynolds doing voice-overs for Jean Hagen’s character. And here’s the best part: you know who they used to do the talking voice overs for Debbie Reynolds doing voice-overs for Jean Hagen? Jean Hagen. Turns out that the awful Bronx accent Lina Lamont has is a fake accent, and that actually Jean Hagen has a great voice. No matter how wild and interesting a story a writer may concoct, it seems, Reality has a way to come up with something far more strange than the writer could ever invent. Indeed, if you were to take an insanely crazy true story and try to sell it as fiction, you would have trouble: it would be too weird to be believable. Nobody would buy it. Irony: although men of great faith are held in high esteem when they hold fast to their beliefs, in spite of all opposing forces (including the hard evidence of scientific experiment), in fact this is one of easiest things for humans to do. In fact, all evidence appears to indicate that when confronted with incontrovertible evidence that negates a strongly-held belief, most people’s response to this is to double-down and hold even stronger to their now-disproven positions. The scientist, in contrast, has if anything a more difficult and heroic task: and that is to be willing at a moment’s notice to discard their most cherished theories, beliefs, ideas and standards, if it is shown by the findings of experiment, peer-review, and the evidence before their own eyes, that their precious stories — however “reasonable” sounding in their ears — do not describe the real world around them and cannot be used as a guide to how the world works, and they must now embrace their opponent’s creed — the one that they had branded heresy. The history of science is one of a never-ending series of discoveries which suggest stories that are not only stranger than anyone every imagined, they have become stranger than anyone ever could have imagined. Quantum mechanics. Relativity. Big Bangs. Black Holes. Continental Drift. And among the strangest of tales is Evolution — this latter being a story that is even more difficult to accept because of what is says about ourselves, what we are and how we think about ourselves. 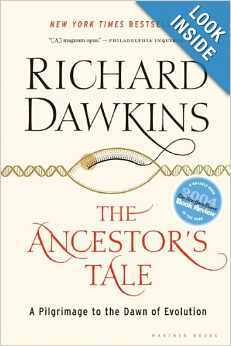 The year 2014 marks the tenth anniversary of the release of Oxford professor Richard Dawkin’s magnum opus “The Ancestor’s Tale,” and it has since its publication joined my short list of books to which I have found myself returning again and again. Whether you “buy” the story of Evolution or not, this book will challenge you, all the way down to the core of your most firmly held beliefs. Dawkin’s idea for the book is based on Chaucer’s Canterbury Tales, in which pilgrims on their way to Canterbury each tell their own stories. But now, you are the pilgrim, and your trail is your family tree, which you must follow back in time. And as you travel further and further back, you will begin to meet up with friend and neighbors, at the crossroads where you find that you both have common ancestors. And part of the motivation for using Chaucer’s book is the remarkable calculation that implies that for any two people now living on the planet, their personal paths of pilgrimage will meet at or sooner than the 1400’s — the time during which the Canterbury Tales was written. The name that Dawkins gives to a “common ancestor” is Concestor, and the Rendezvous or crossroads is for Concestor Zero — which is his name for a single common ancestor of All Human Kind alive today. In other words, on your personal family tree, Concestor 0 is the first ancestor you find who is also in the family tree of every single human being alive on earth today. The fact that there is such a person in your tree is in itself one of the first remarkable facts that you are challenged with. And yet, Dawkins presents a clever proof, using only math and logic, and unarmed with the story of Adam and Eve, to argue that at least one such couple must exist in your tree that unites all of humanity. And this is what makes this book great, is that Dawkins doesn’t just claim things, he proves them. To see the proof, you will just have to read the book. Something has gone terribly wrong lately in the way people talk to other people, and by “other people” I mean people who do not happen to come from the same tiny enclave, church, cable channel, blog, twitter-feed or political clan. I don’t know why. It does not seem to be limited to the right or left, the religious or secular. There is a visceral, almost toxic reaction people seem to now have about “Others” that shuts down all discussion, all willingness to see the world through others’ eyes or even acknowledge that others may have legitimate reasons for thinking the way they do. This is my second review of the Barack Obama book, Dreams from My Father. The first one I threw away. Which is sad, because I thought it was a very interesting study of Obama’s story in light of Joseph Campbell’s universal Hero-myth, comparing Obama’s spiritual search for his father with the myths of Orpheus, Gilgamesh, King Arthur, and yes, even Star Wars and Harry Potter. . . . . which would all be true, but even then I doubt that she would be convinced. One look at his face on the cover and there is simply nothing to discuss. And so we arrive at a major theme of Obama’s book: How can people from different worlds and different tribes ever learn to communicate with each other? Unless we learn how to do that there is no hope. The earth shook under my feet, ready to crack open at any moment. I stopped, trying to steady myself, and knew for the first time that I was utterly alone. Indeed, the book is prefaced with a biblical epigraph from I Chronicles 29:15: “For we are strangers before thee, and sojourners, as were all our fathers.” While the significance of the passage in referencing fathers is clear, the key I believe lies in the word sojourner, a stranger, passing through a place not his home. That was all. The line cut off, and I sat down on the couch, smelling eggs burn in the kitchen, staring at cracks in the plaster, trying to measure my loss. I love this passage. In one sentence the writer has marshaled all five senses into an elegant haiku about a single moment, the un-measurable despair dripping from the plaster cracks. The book is filled with such word-craft, making one eager to press on through the narrative for further rewards. In part one, Origins, he traces his childhood first in Indonesia and then Hawaii, growing up with his white mother and grandparents, attending college and ending with his memory of a brief and only visit from his father. He determines that he must somehow find him. In part two, Chicago, he embarks on an idealistic project working as a community organizer in the south side of Chicago. Things do not go well at first and the presence of machine politicians with agendas gums up the works. He eventually begins to have small victories, and in the process meets many people who later become significant in his life such as the controversial and outspoken Reverend Wright who coined the phrase “The Audacity of Hope.” In the third and final part, Kenya he travels to Africa and meets the Obama side of his extended family. 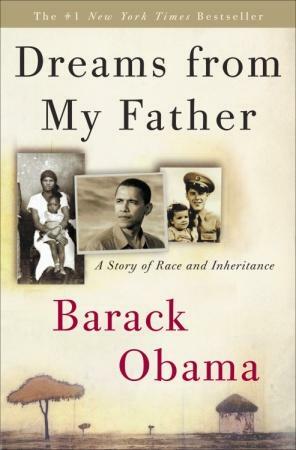 He learns the long story of the Obama clan and the battles fought between his father and authoritarian grandfather. culminating in a profound and gut-wrenching epiphany by the author at the stone-covered grave of the father he never knew. The people who populate his story are complex and three dimensional human beings. You care about them even if they sometimes annoy you. Obama does not let you off the hook with easy stereotypes such as the “Caring Mother” or the “Corrupt Chicago Mayor.” People have reasons for what they do and often have doubts. Even in his self-portrayal, Obama relates his inner thought processes and dialectic struggles, and admits that he does not know all the answers — in a way that makes me understand now why he can sometimes be infuriating to both sides of the political spectrum. For Obama, as for all of us, the answers are never simple and sometimes our opponents really do have valid points. …That this power could be absorbed only alongside a faith born out of hardship, a faith that wasn’t new, that wasn’t black or white or Christian or Muslim but that pulsed in the heart of the first African village and the first Kansas homestead – a faith in other people.